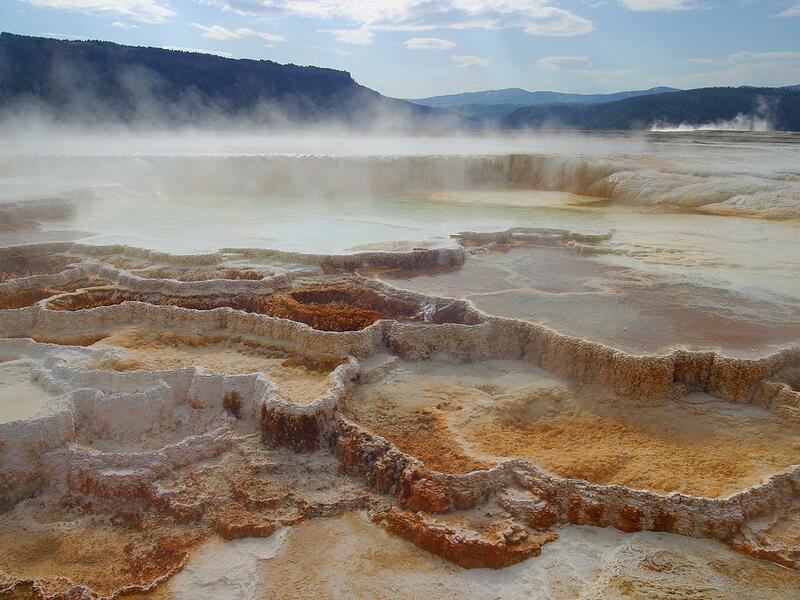 Via a Freedom of Information Act request, Yellowstone National Park recently reported the tragic details of an accident last summer, where a 23 year old man dissolved after an illegal attempt to bathe in Mammoth Hot Springs in Yellowstone National Park. He had gone 200 yards past the legal tourism area with his sister, who was recording on her cell phone when the incident happened. Luckily, that video has not been released. Though search and rescue was attempted, Deputy Chief Ranger Lorant Veress remarked, "in a very short order, there was a significant amount of dissolving" due to the churning, acidic water. The man was reaching down to test the temperature, with the intent to "hot pot," aka bathe in the steaming water, when he slipped and fell in. Search and rescue rangers who arrived later did find the victim's body in the pool, along with his wallet, and flip flops. But, a lightning storm stopped the recovery efforts. The next day, workers could not find any remains. Veress says the water was churning, and acidic. He remarked, "In a very short order, there was a significant amount of dissolving"
Veress said the park posts warning signs for important reasons, "… because it is wild and it hasn't been overly altered by people to make things a whole lot safer, it's got dangers. And a place like Yellowstone which is set aside because of the incredible geothermal resources that are here, all the more so."